The U.S. Postal Service’s plan to change the hours of operation at 13,000 local post offices nationwide is set to launch next week, according to USPS officials. The agency’s Post Office Structure Plan -- also known as POStPlan -- was first unveiled in May. It potentially limits retail window hours of operation at some post offices to two, four or six hours per weekday. Residents in some of the affected communities will begin receiving surveys next week from their postal service district offices with details about forthcoming community meetings, kicking off a two-year process in which the agency will reduce hours of operations and take other expense-cutting measures, spokeswoman Sue Brennan told Government Executive. The community meetings will begin in early October, with the majority of the Postal Service’s 67 postal districts conducting several meetings per week, Brennan said. The agency anticipates saving $500 million a year from POStPlan, which it aims to complete in September 2014. As many as 9,000 post offices could remain open only two to four hours a day and an additional 4,000 could be cut back to six-hour workdays. The two to four hour offices will be managed by part-time employees receiving hourly wages and no benefits; the six-hour post offices will be managed by part-time employees with some benefits, such as accrual of annual leave, according to Brennan. Many postmasters have accepted buyout and early retirement offers. Nearly 3,800 accepted incentives to leave the Postal Service as of July 31, and the agency announced this week that it would offer 3,300 more early retirements to managers and administrative staff. The POStPlan launch follows the Postal Regulatory Commission’s recent advisory opinion backing the program. The commission suggested USPS conduct a customer preference survey at targeted locations and offer citizens a choice between keeping their post office open with reduced hours, or closing the facility and providing replacement delivery service. 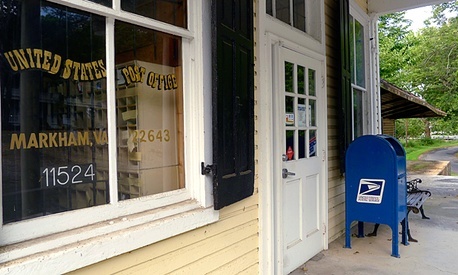 The agency alerted affected communities in May and pledged to use community meetings to gather input on their options: contracting with local businesses to set up rural post offices, consolidating with nearby post offices, or reducing operating hours to better match customer use -- a move USPS has said is favored by 54 percent of the rural post offices it reviewed prior to May. Brennan said the agency also continues to pursue establishing village post offices in affected communities. Those outposts would use established businesses in communities to serve post office customers. “By being located inside established businesses and other places consumers already frequent, VPOs offer Postal Service customers time-saving convenience, and in most cases, longer hours than regular post offices,” she said. Correction: An earlier version of this article misidentified USPS spokeswoman Sue Brennan. Chief Operating Officer Megan Brennan was not contacted for this story.